Разстояние до летището 28,3 км. Имате въпрос към The Fusion Resort? Сгушен в сърцето на Чалонг, The Fusion Resort е идеалното място, от което можете да започнете Вашето приключение в Пукет. Хотелът не е далеч от центъра на града - намира се само на 6.2 km от него, а до летището се стига за около 45 минути. С удобното си местоположение хотелът предлага лесен достъп до всички градски забележителности, които задължително трябва да се видят. The Fusion Resort предлага безупречно обслужване и необходимите удобства, за да удовлетвори гостите си. За удобството и комфорта на гостите хотелът осигурява ежедневно почистване, съхраняване на багаж, Wi-Fi връзка в общите части, паркинг, екскурзии. Насладете се на висококачествените удобства по време на престоя си тук. В някои стаи са на разположение телевизор с плосък екран, стаи за непушачи, климатик, бюро, минибар, които ще помогнат на гостите да релаксират след дългия ден. През деня можете да се насладите на отпускащата атмосфера благодарение на открит басейн, басейн (за деца), градина. Когато търсите удобно и комфортно място за настаняване в Пукет, изберете The Fusion Resort, който ще се превърне във втория Ви дом. Отседнахме 14 вечер/и в януари 2019 г. Great location and Good quality. 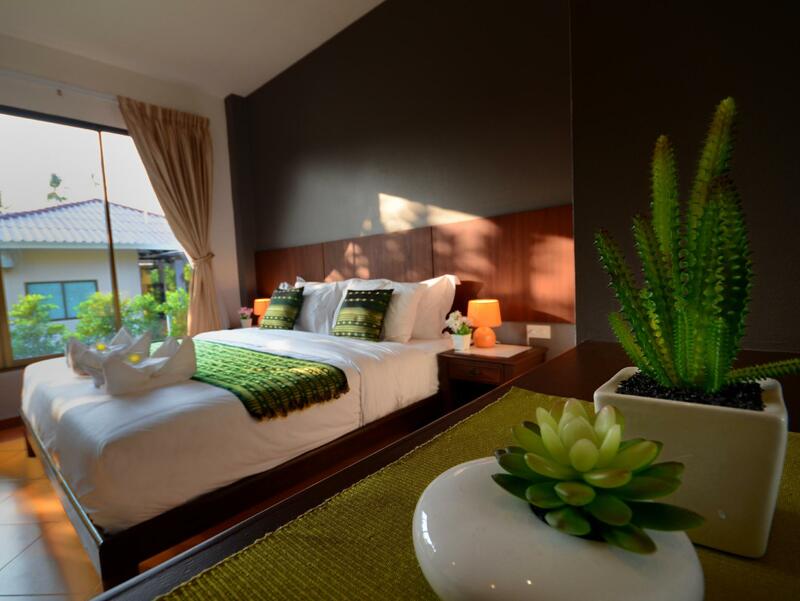 Simple, clean, pleasant accommodation with a relaxed atmosphere, ideal for people coming to the location for the Muay Thai and other training facilities nearby. Отседнахме 13 вечер/и в януари 2018 г. Very good hotel for people training at Tiger Muay Thai, location is perfect and the staff is very nice. Отседнахме 7 вечер/и в януари 2018 г. A small pool with jacuzzi in the middle of the resort. Stayed in the Villa which is functional, clean with all the necessary toiletries and various towels. The room is well-kept and clean by the room-service attendant every day. Visible wear and tear but not too of a concern. Various insects and ants are visible but because of the proximities to the vegetation which is well-understandable. Very near to various nice eateries and work-out gym. Отседнахме 7 вечер/и в октомври 2017 г.
I have a pleasant stay in Fusion. 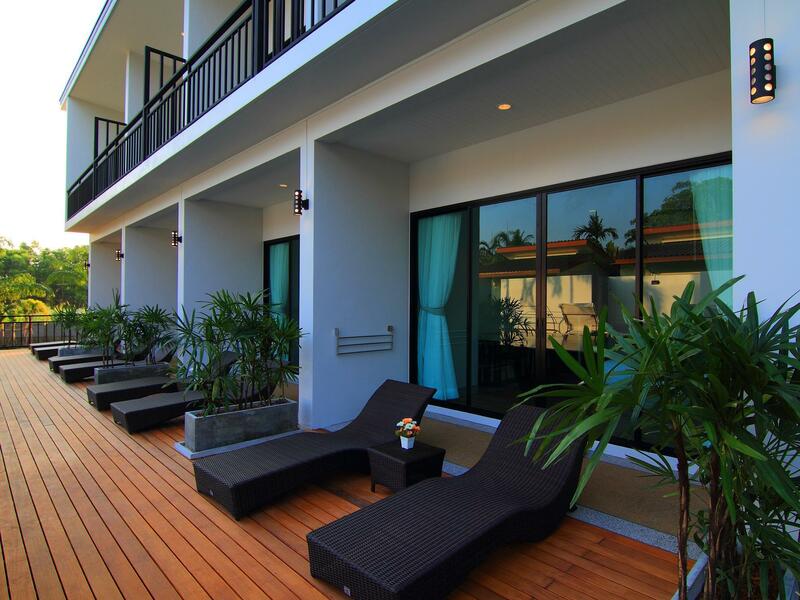 The resort is clean and peaceful environment. Отседнахме 7 вечер/и в август 2017 г. Hotel very clean. Nice poeple, always ready to help you. If you go training at Tiger May Thai, it's a very good hotel. Was hoping to have a few drinks at the bar in the pictures but no luck as there was no mention the bar and restaurant had been taken away, luckily there are a few restaurants close by. Good cleaning service and fresh towels all day. Give water each day which was good. Room gets pretty hot in the day time and only one aircon battles to keep up, I would ask for away from the road as the cars can be a little irritating at night. Отседнахме 10 вечер/и в август 2016 г. The location was perfect, about a 1 minute walk from tiger and a 3 minute walk from unit 27. The villa I stayed in was very clean and towels etc replaced everyday. The pool is fantastic and was always pretty empty when I was there. There's scope for them to improve the facilities by offering a small cafe or restaurant, they have an area set up for this but nothing in there yet! The only thing that does let the resort down slightly is the difficulty in communication with the owners, very friendly but very poor English so explaining simple things took a lot of effort. 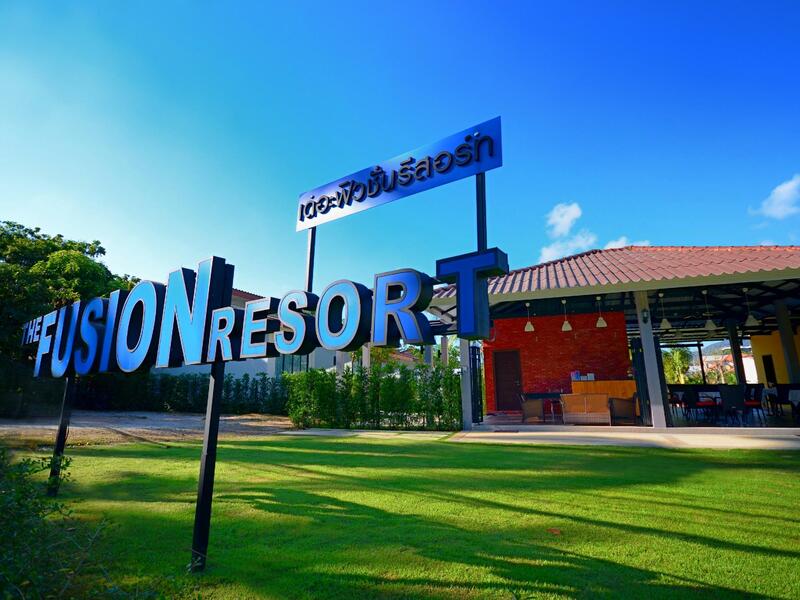 I stayed here with a friend for two nights as we planned to train at Tiger Muay Thai camp which was a 5 minute walk away. The front desk staff who attended to us could just about barely speak English, but we managed to book in with no problems. We were Southeast Asians ourselves, so perhaps that was why it was not too difficult. I can see how difficult it could be for Western guests to communicate with her. However, she was willing to try and was friendly. The room was clean and simple with laminated wood. There are long table surfaces to place your bags and items. There is no wardrobe, but there is a rod with hangers available. There were many cable channels on the TV but I didn't really use it. There is a medium sized fridge with water bottles in it - very useful for when we ate and had leftovers. We got the Superior room which has a glass door that opens to our own deck chairs and the swimming pool - it almost looks like we had our own villa! 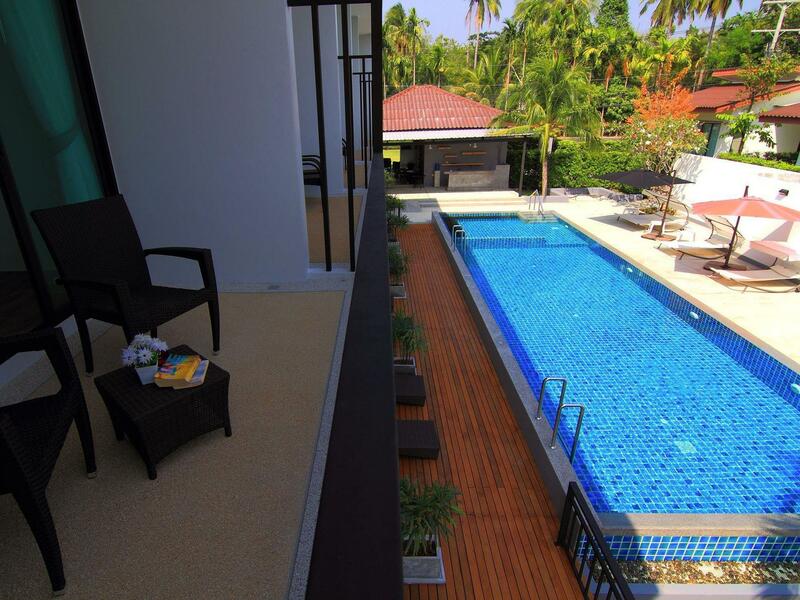 The pool is medium sized and of a good depth but it is usually cold - ideal for the afternoons. The people in the nearby hotel (Anchan Resort) can look over into it, in case that bothers you. There are 2 power sockets on each side of the bed. The bathroom was clean and of a good size. The shower area had a wall separating it from the toilet. It took some time for the hot water to come through, so you may have to be patient to find the right temperature when showering. The drainage was bad, so the water pooled up in a short time. Around the area are Tiger Muay Thai & MMA camp and a couple of other muay thai and crossfit camps, so the entire stretch has businesses catering to that crowd. Most of the eateries are health conscious, most of the juice bars sell protein shakes and have protein top-ups available. There are massage parlours scattered all over. For the price and the service, I would definitely stay here again if I were going to train at Tiger again. Отседнахме 14 вечер/и в юли 2016 г.
Отседнахме 6 вечер/и в април 2016 г. The manager don't really understand English and one night when electric down she sleep and we all sit outside the pool and she do nothing. Don't even feel a bit sorry about us. Bad service ever.! Отседнахме 5 вечер/и в април 2016 г.
Отседнахме 9 вечер/и в август 2015 г. The hotel is located on Soi Tai-ied, almost opposite Tiger Muay Thai so it was a great location for me as I was training there every day. The street has a lot of gyms, healthy food cafes, supplement shops etc. but isn't really close to much else so would not recommend staying around there if you're not training. If you're training it's perfect. As for the hotel, it was obviously newly built and mostly of a really good standard. I stayed in the new block of rooms overlooking the pool but they also had villas. The building work that someone else complained about is finished, they are building new hotels nearby but noise was never a problem. The room was nice and cleaned daily. Excellent pool area. I'd definitely stay there again if I return to training at Tiger. Just a few minor issues: They advertise a bar/restaurant - there isn't one. They have a seating area but it isn't used as a restaurant. All they have is a fridge to sell bottled water and soda. When I was there we had a huge amount of rain and water would get in under the door, resulting in puddles in the room! I told the lady who runs the place a couple of times (and showed her pictures as her English is pretty limited) but she seemed to think it was funny and nothing got done about it. It wasn't a huge problem but I had to stuff towels under the door when it rained heavily. It was mostly very clean but by the end of my stay I started finding a lot of ants. I didn't really have any food in my room so not sure what they were attracted to.